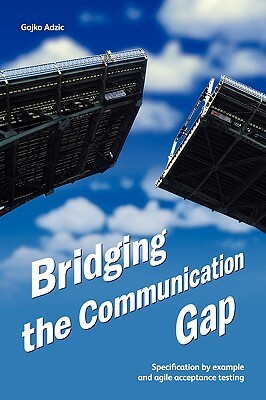 2Bridging the Communication Gap is a book about improving communication between customers, business analysts, developers and testers on software projects, especially by using specification by example and agile acceptance testing. These two key emerging software development practices can significantly improve the chances of success of a software project. They ensure that all project participants speak the same language, and build a shared and consistent understanding of the domain. This leads to better specifications, flushes out incorrect assumptions and ensures that functional gaps are discovered before the development starts. With these practices in place you can build software that is genuinely fit for purpose.